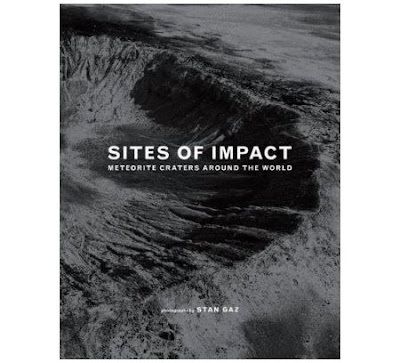 i picked up stan gaz's sites of impact at an opening of the same name at clampart tonight. 1/ the prints were bea-u-ti-ful. silver gelatin prints. a rarity these days. i was in awe of them. they were like 50x60 or something and the grain was enlarged in this amazing way. you could almost feel the textures. lisa pointed out that they reminded her of pointillist paintings. 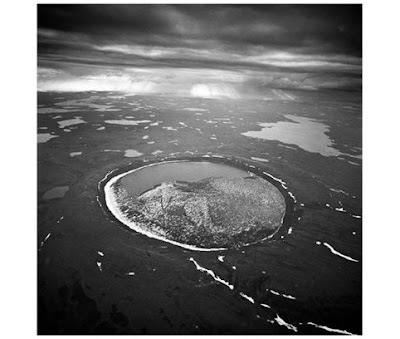 2/ i know nothing about these photographs except that they are images of meteorites so i am excited to read the introduction. and as i am currently listening to a short history of nearly everything where bill bryson talks for a bit about meteorites, they were on my mind.